Dorianne Laux reads her poem “Dust” as part of the Poetry Everywhere project airing on public television — produced by David Grubin Productions and WGBH Boston, in association with the Poetry Foundation. Filmed at the Geraldine R. Dodge Poetry Festival. For more information, visit http://www.pbs.org/wgbh/poetryeverywhere/. 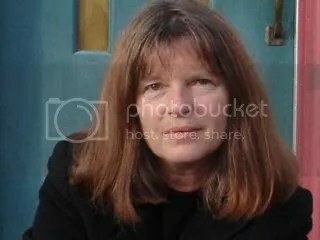 Dorianne Laux was born in Augusta, Maine, in 1952. She worked as a sanatorium cook, a gas station manager, a maid, and a donut holer before receiving a B.A. in English from Mills College in 1988. Laux is the author of Facts About the Moon (W. W. Norton 2005), which was the recipient of the Oregon Book Award, chosen by Ai, and a finalist for the National Book Critics Circle Award. Her other collections include Smoke (BOA Editions, 2000); What We Carry (1994), finalist for the National Book Critics Circle Award; and Awake (1990), which was nominated for the San Francisco Bay Area Book Critics Award for Poetry. Superman: The Chapbook was released by Red Dragonfly Press in January, 2008. With Kim Addonizio, she is the co-author of The Poet’s Companion: A Guide to the Pleasures of Writing Poetry (1997). Her poems have been translated into French, Italian, Korean, Romanian and Brazilian Portuguese. Among her awards are a Pushcart Prize, an Editor’s Choice III Award, and a fellowship from the National Endowment for the Arts. Laux has taught at the University of Oregon’s Program in Creative Writing. She now lives, with her husband, poet Joseph Millar, in Raleigh, North Carolina, where she serves among the faculty at North Carolina State University’s MFA Program. Those two shelves, down there.